I’m as big a fan of Star Wars in general that you will find. I’ve watched all the movies several times, I’ve seen the old Holiday Special, I’ve seen the Droids animated show, I’ve seen the various Clone Wars animated shows and movies, I’ve read a lot of the books and even a few of the comics. So I’m fairly well-versed in Star Wars lore and have come across all sorts of styles and quality of work. And I’m always on the lookout for getting more of my Star Wars fix. So hearing about the rerelease, I was quite excited. I was a little ambivalent about it to be honest, but my first reaction was quite positive and I didn’t understand people’s concern about why the movie would be bad for a 3D release. And so I went last weekend to the movies and saw the film. And you know what? I enjoyed it from start to finish. I really did. Like I said, I’ve seen all the movies several times, in a variety of release and rerelease formats. And I do happen to like Phantom Menace quite a bit because the simple fact of the matter is that I just don’t get worked up about the films, especially the prequel trilogy, like most people do, or claim to do at any rate. I simply take Phantom Menace for what it is and what it is meant to do, rather than evaluating it as some sort of corruption of the original trilogy. Watching it in 3D was a fantastic experience. Everything looks good and everything is cleaner and sharper, especially the special effects. 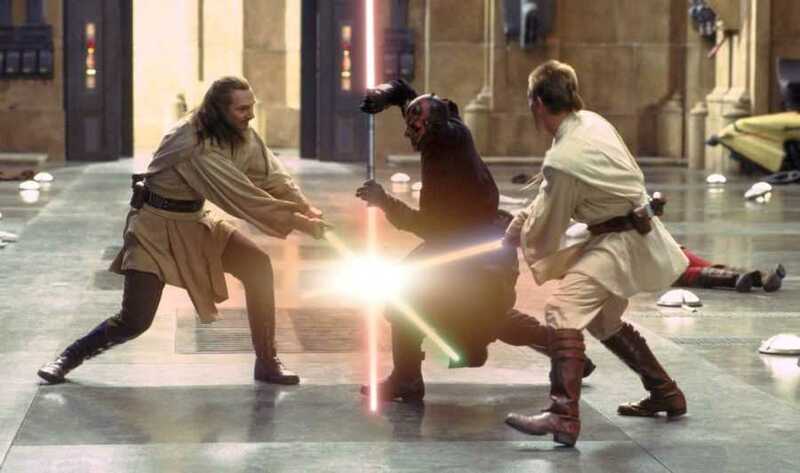 Top mentions go to the podracing scenes and the final, climactic battle between Qui-gon, Obi-wan and Darth Maul. The former of the two was always one of the best things about Phantom Menace and so while it didn’t gain as much as some of the other scenes from the 3D conversion, it is nonetheless one of the most spectacular looking sequences in the entire rerelease. If anything, the podracing sequence really made me want to go out and see if the old podracing game is still available and play it. Had so much fun playing it all those years ago that I still remember, although faintly, several of the racing tracks and how enjoyable that game was. I would so love to re-experience that. Similarly, the final duel became much more breathtaking because it is so clean and sharp now. That simple fact makes it so much more thrilling to watch even though we already know the outcome of it. And of course, watching Ray Park in action again is always a treat, not to mention that both Liam Neeson and Ewan McGregor come across as much more impressive now. Maybe it is a trick of the conversion of the process but I don’t care. I still had fun. Knowing now that Ray Park is an accomplished martial artist, I have to say that I definitely appreciated the duel more, especially since he had helped both his fellow actors train for their fight sequences. And of course, Maul is like one of the best Sith warriors ever, so he does rock. I recommend reading the Darth Maul prequel novels to get a fuller understanding of his character. However, one of the best parts of the movie has absolutely nothing to do with the conversion process, but with just the way the scene has always been. I had never reacted before to the scene in which Anakin has to leave his mother, Shmi, behind on Tatooine. I felt a little sad of course whenever I saw it, but nothing more than that. This time however, the scene inexplicably made me cry. For some reason, that one scene in the movie became one of the most poignant scenes in the entire franchise. The simple matter of a dice roll completely changed the life of a slave-boy and watching Anakin part with his old life is heart-breaking to watch. Foreknowledge can be such a pain. All that said however, the overall movie experience is in itself fantastic. The plot takes something that is quite common in our everyday lives on a global scale and then spins it into a sci-fi yarn that, while not the best example of its kind, is still a worthy movie to watch. Yes, I’m talking about the trade disputes between the Federation and Naboo, as well as the blockade of the latter by the droid warships of the former. Foreknowledge in this case is a boon because you really get to understand just what is happening here, even though said foreknowledge is retroactive. I’m referring to the prequel-era novels here, just to be clear, of which I’ve read a fair few. The dialogue of course is a little silly at times and a bit more “typically epic” than it should have been, but I never saw it as a big deal. I usually care about the dialogue in the films I watch but the movie just makes me not worry about the dialogue at all. Not sure if that’s a good thing or a bad thing but in the end, I still had a lot of fun with the whole experience of it. Could the plot of the movie have been better and even, less silly? Of course it could have been. There is always room to improve even in a masterpiece and while The Phantom Menace is not a masterpiece, it is still a fantastic movie that really appeals to the twelve-year old in me. 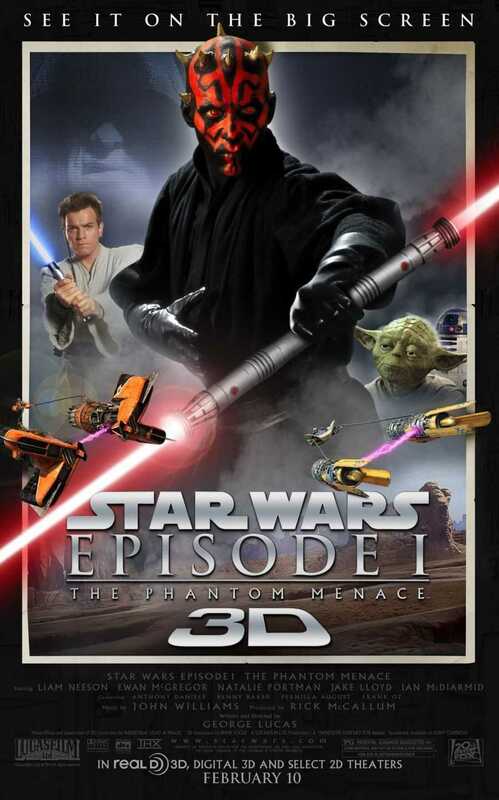 Podracing, sword-fighting, mysterious and all-powerful space knights, Yoda, big ships, crazy aliens, etc all combine to form a really fun experience that is simply meant to entertain and does that beautifully. Therefore, I do recommend people watch the movie. If you miss the 3D version on screens, then take the time to watch it on DVD. Give it a try, don’t go with the bandwagon. Put your criticisms of George Lucas and his practices aside and just try to have a relaxing time at the movies. Posted on February 15, 2014, in Movie Reviews, Review Central and tagged 20th Century Fox, 3D Rerelease, A Galaxy Far Far Away, Action, Adventure, Aliens, Anakin Skywalker, Anthony Daniels, Darth Maul, Darth Sidious, Drama, Ewan McGregor, Film Review, Frank Oz, Galactic War, George Lucas, Ian McDiarmid, Jabba the Hutt, Jake Lloyd, Jedi, Jedi Council, Jedi Knights, Jedi Order, Kenny Baker, Liam Neeson, Lightsaber, Lucasfilm, Mace Windu, Movie Review, Naboo, Natalie Portman, Obi-Wan Kenobi, Pernilla August, Podracing, Princess Amidala, Qui-Gon Jinn, Ray Park, Republic, Review, Review Central, Samuel L. Jackson, Science Fiction, Sith, Space Opera, Star Wars, Star Wars Episode I, Star Wars Episode I: The Phantom Menace, The Phantom Menace, Wattoo, Yoda. Bookmark the permalink. 1 Comment.